The music industry has a problem when it comes to performing live and recording songs: the volume of the music often overpowers the sound of an individual’s singing and/or instrument. Musicians rely on hearing their own voice and instruments to perform better, but are often unable to hear over background music. To remedy this problem, singers use devices called wedges, or miniature speakers directed towards the stage. These wedges broadcast an amplified version of their own voice or instrument. However, these wedges also have issues. If the wedge amplifies sound too much, feedback or whistling can occur. 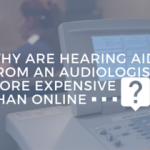 This increase in volume can also lead to noise induced hearing loss. But not all musicians rely on wedges. If you are a fan of music and have watched live performances, you may have noticed that singers and musicians often wear devices inside their ears. These devices are called in-ear monitors. In-ear monitors solve many of the problems wedges face. Monitors are ear devices and feed the musician’s own sound directly into their own ears. They can also be customized to each musician. For example, while performing live or recording a song, if the musician wants more of the lead guitar and less of their own vocals, this adjustment can be made on the sound board that feeds into the in-ear monitors. 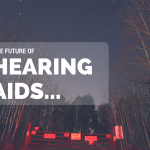 At the same time, being in the ear, monitors eliminate the concern of feedback and reduce the likelihood of noise damage from overly-loud music. In-ear monitors come in a variety of styles and levels of technology. 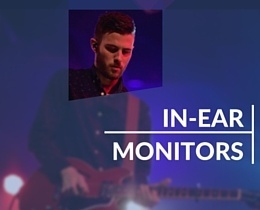 For more information on which in-ear monitor is right for you, contact Arizona Hearing Center by phone at 602.313.1243, or by email at [email protected]. Love your ears? Subscribe to at blog.azhear.com for more information on how to keep a healthy hearing lifestyle.